Reflect on the Last Year – We learn from both success and failure, so it is important to reflect on both over the last year. Think about your studio’s major achievements and milestones, and how you can best continue or capitalize on them. While reliving failures is often painful, it is just as important to evaluate last year’s stumbling blocks and understand how to prevent them from reoccurring. For example, make your marketing dollars work smarter by evaluating what promotions and advertising spends worked best for your children’s music studio. Set SMART Goals for the Coming Year – Write down three to five major goals for the coming year, while making sure they are SPECIFIC, MEASURABLE, ACHIEVABLE, RELEVANT, and TIME-BOUND. Many failed goals can be attributed to unrealistic and non-specific expectations. Develop a Plan for Reaching More Customers – Whether its meeting (2) new parents a week, handing out (20) complimentary baby or toddler lesson cards a month, or posting something new to social media about your childhood music program at least (2) times a week, write down a goal for reaching new prospects within a specific time frame (see SMART Goal setting above). Also, don’t forget that it costs much less to keep a current customer than to find a new one, so also set goals for nurturing relationships with your existing music class parents and children. Look for Partners to Help you Achieve Your Goals – No successful business owner will ever claim that they “did it all on their own.” Think about who may help you achieve your goals and build your music studio. Whether it’s a program with the local library, or partnering with an experienced early childhood music education organization, there are many resources available out there to help you achieve success in the coming year. There is a reason that the above list only contains five (and not ten or more), resolutions for growing your music studio in the coming year. Too many goals can be overwhelming and impossible to achieve, so starting small will help you to focus and will ultimately lead to greater success. Focus on Word of Mouth Marketing – It is often said that Word Of Mouth Marketing, or WOMM, is the most important social media. Mothers always talk to each other about what is going on with their child, and there is no better way to gain new music students than referrals from happy moms. Early childhood music curricula such as those offered at Musikgarten include participation from one or two parents, which creates a social circle within your studio. Develop and Nurture a Referral Program – Some of the strongest leads come from referrals, because there is already a level of trust established before the initial contact is even made. With a strong social circle of parents established, marketing early childhood music programs can be as easy as offering an incentive for those parents to lead a new prospect to your music studio. It can be as simple as providing one free class for the referring parent once their referral attends a class. You will find that with an opportunity to offer value, some parents will become your best marketing partner. Offer a Test Drive – For anyone who has ever bought a car, you remember how it felt when you actually sat behind the wheel and drove it. The same can be said for marketing early childhood music education. While a referral can be a powerful marketing tool for your studio, sometimes it takes a little something extra to bring the prospect in the door. Consumers are leery of signing up for a commitment without knowing how they (or their child) will like it, so a no obligation, free first class might be just what you need to nudge them in the door. Combine Both Referral and Complimentary First Class – For music studio marketers, there is a low-cost way to create a program that provides incentive for both the referring parent as well as the new prospect. Simple, complimentary first class cards given to your current music studio parents, serves several purposes. First, by simply having them write their name on cards given out, they provide a means to accurately track which parents provides referrals. Second, they represent a tangible value that acts to remind both referral and parent alike of the complimentary lesson. Simple and low-cost business cards can be printed for this purpose. Word of mouth is just one very powerful marketing tool for early childhood music studios, but it must be carefully nurtured. We’ve all heard the saying that a bad experience is shared ten times to every once a good experience is shared. It is important to make sure parents are comfortable and pleased with your music studio before asking them for a referral. 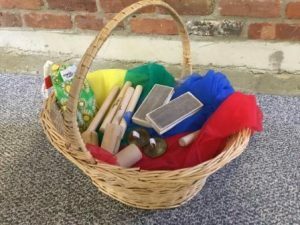 In this ongoing series of blog posts, Musikgarten will continue providing more marketing ideas for owners of early childhood music studios. If you would like to receive notification of a new blog post, please contact us by email here. How to become more comfortable teaching improvisation. But for the majority of piano teachers, the art of improvisation was not included in their own weekly piano lesson. As a result, many teachers feel awkward when it is their turn to create an improvisatory phrase in front of their students. Can we, the teacher, still develop our improvisational skills? I believe the best answer is to teach The Musikgarten curriculum, Music Makers at the Keyboard, a three year sequential program for group piano. This method has the best improvisation sequence I have found. It teaches improvisation step by step and I recommend you, the teacher, follow this program to develop their own improvisational skills. If you work alongside (or a bit ahead of) your students and master each step of the process you will find this process of creating music gradually becoming easier for you. If you haven’t yet started a class I still think you can go through the program and work on the steps bit by bit. In Book 1 the children and teacher are echoing fundamental tonal and rhythmical patterns that are found in the pieces they are singing and dancing to. The patterns we practice are commonly found in the songs such as See the Pony, Who’s That? and Hot Cross Buns. These are pieces we are singing and dancing to and eventually learning to play by ear on the piano. Video 1 – See the Pony, Who’s That?, and Hot Cross Buns with Tonal patterns. As the children become more familiar with the songs, such as the song we sing and play within the video, we play a game whereby they find these patterns in the piece they are singing. There is such a sense of satisfaction and “AHA’ in the children when they are successful in finding a pattern in a song. These patterns become their friends at the piano as they work out how to play the patterns in different keys and how they work them into the familiar tunes. This takes time. Almost the entire Book 1 is devoted to becoming comfortable with these patterns. I hope you as a teacher also become comfortable with these patterns in your voice and at the piano. By the tenth lesson, the children begin to create their own tonal patterns. We do this exercise on the floor. First, they echo the same pattern I chant and then they are asked to create new patterns on their own. Here is your opportunity as a teacher learning to improvise to start to create your own patterns. Try thinking of different ways you can make a tonal pattern using Do, Sol and Then go to a piano and find those patterns. When you are comfortable, try two tonal patterns in a row. This will be good preparation for what will occur in Book 2. Video 2 – children singing rhythmic patterns and then improvising on the patterns. Video 3 – children singing tonal patterns and then improvising on the patterns. In Book 1 we play with duple and triple rhythm patterns and major tonal patterns based on the Tonic I Chord. In Book 2 the children are led through a carefully planned sequence of activities which lead the students to improvise patterns on the piano within a duple or triple rhythm context. Learn the patterns as the children are learning them, using the practice CD to learn the songs by ear on the piano. Create a tonic pattern on the piano and then figure out it’s name. Then sing a tonic pattern and find it on the piano. Go back and forth until you can do this easily. When you are comfortable, move to longer patterns. Add a Tonic chord under your improvisations and play with this. Creating a few patterns each day will slowly increase your confidence at learning to improvise. You may be a few steps ahead of your students or perhaps at the same level. Just keep going to the piano and play, play, play. What have you found works for you to become more comfortable with your own improvisational attempts? Let me know by responding to this essay in the comment section below. Interested in taking training for Group Piano? Click here to find out more! Teachers and parents are starting to understand that if you give children the gift of music at an early age, the benefits last a lifetime. It is not just listening to music, but engaging in music in an active way with in a group. The parents see the benefits instilled in their children and the teachers see these and the benefits for their studios. Tim also focused on this topic in a recent blog post, referencing some of Ellen’s thoughts. Maybe you are a piano teacher, singer or other instrumentalist who wants to make extra income or just want you students to be more musical. 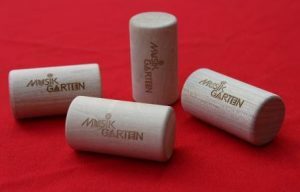 Musikgarten is the answer! When I teach a music class for toddlers I must acknowledge the elephant in the room. Next to, or nearby, every toddler attending class is an adult. This adult could be a parent, a caregiver, an uncle or a grandparent, but what do they all have in common? They are no longer toddlers and therefore have completely different musical needs from a toddler. They may be agreeing to sit in a toddler class but does that mean they need to sing along, dance along and play along? Wouldn’t they rather grab their cell phone, find a corner and start Facebooking? What can you do to keep those parents from herding into a corner and starting a gossip circle? The adult links you, the teacher, to their child. For instance, you will demonstrate a steady beat by bouncing your stuffed animal and the adult will bounce their child the same way, instilling that steady beat. The adults join in a community chorus of singing and participating that surrounds the toddler with hopes that one day s/he will feel comfortable joining. The adult creates a space that becomes a safe zone for the toddler. Within that space the child feels most comfortable; in their comfort space they can best learn. The adult makes logistics easier in the classroom. Imagine walking into a classroom filled with 12 roving toddlers and no adults. Bounce along? Maybe one at a time if you can catch one. Sing to them? They won’t sing back and will stare at you with a lost look. Sit in a circle? What’s a circle? Hand out sticks? Could be dangerous. Ask them to Walk and Stop? Good luck. Try pulling out that drum. Bam, oof, watch out! Teachers agree: The parent is the channel through which you instill the heart and life of the Musikgarten program. When the parent participates in class, the class is moving and grooving. When they sit back and watch or zone out your class is compromised. So your parents need to know this and you need to acknowledge their presence and worth. They already have a clue that music is wonderful and significant for their children. They have heard that music is part of a well-rounded education and it makes a significant difference in the lives of children. 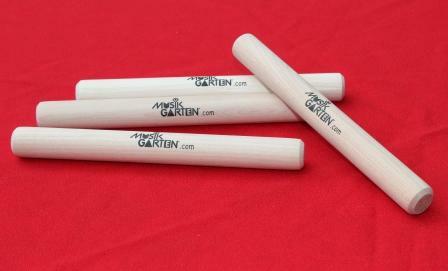 Now the participating adults need to know they are the magic key to accessing the music education in your classroom. So what can we do as teachers to help the parents feel their value? Make sure you have spoken to every parent that plans to attend either on the phone or at a parent’s meeting. Besides reminding them about arriving on time, washing hands, and taking off shoes, they need to learn to enter the studio with excitement and anticipation, leaving the worries and cares outside the door, along with their cell phone. Before class begins, set the mood by having the CD for the program playing softly. So often I have parents walk in and begin to sing along with music. This is marvelous proof that they have been doing their homework and playing that recorded music often enough that they know the words. Room should be free of clutter and all toddler distractions put away. Remind the parents to leave all toys and food outside of the room. Stuffed animals that sneak in under a child’s arm gets invited to watch on my piano. Invite them to sit on your clean carpet or floor. 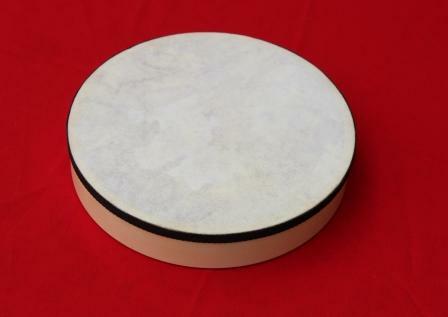 Maybe have a drum or other classroom instrument to explore. Note: I keep that instrument with me at all times. Begin the class on time. I can’t emphasize this enough and tell the parents that we always begin on time. Note: I say this every week and also mention this at the end of class. Ask the parents to gather up their wandering children to form a close-knit circle. Quietly remind the parents that you are modeling all movement and they are expected to sing and move just like me. Mention this for many weeks – not just the first week! Note: I do not go into the discussion of “But I can’t sing” at this time. Sing the opening song quietly with a smile. Keep a slow tempo and make sure you have had eye contact with each parent and hopefully with each child. As the class progresses you will deal with individual needs and issues: roving toddlers, toddlers that need some quiet time in the waiting room, chatty parents, non-participating parents, etc. End on time, acknowledge the class, and invite them back for next week’s class. As parents leave, take care of any business. Note: I sometimes choose to call or email business related items later and keep the goodbyes pure. As rapport grows, encourage parents to sing more and more in class. First encourage the ancient word, “la” and then urge the parents to eventually sing the words. Repeat a verse so that parents can sing along. Note: I make sure I drop out for a verse or sing quietly along, promoting their musical participation. There are a few ways to communicate to parents between class and this is a great way to smooth out any miscommunications or to continue to educate parents about music class. By making the parent the most valuable asset, you are investing in your studio because these are the parent who will return next semester and the year after that. Eventually you will have a base from which you can teach all that Musikgarten has to offer. Make this your first step towards establishing your music studio. You will reap the rewards of all your hard work. Question: What have you found to be the most effective way to guide your parents into joyful music making in your classroom?